4G LTE network is now the trend on telecommunication Networks. The network is now dominating the whole cities, states and town found in Nigeria. Most telecom networks like Glo, MTN, Etisalat etc are doing their very best to see that the development circulate every look and cranium of Nigeria. The innovation has to do with frequency band for devices. So most of them are involved in transmitting popular frequency band which are as follows; Bands like 3(1800MHz), 7(2600MHz) and 8(900). One thing you must know about these bands is that, most of them are programmed to work on all device and some are not. And another thing is that, some of the band type doesn't work with most affordable 4G smartphone that is present in Nigeria, that is to say, some selects devices. Now, the whole matter lies on the type of band that a paticular network telecom settles with, if the settle with the type of band that works in many device, fine but if the don't and you are using the network also fine. So the choice is yours to make whether to switch to another network or not. So the switching is as a result of your phone not being supported with that particular 4G network, then you can likely make a change. Glo Telecom network decided to settle with frequency band of 28(700) and the very funny thing there is that, it doesn't support most 4G smartphones. And that implies that even if you have a 4G enabled smart phone, the probability that it may or may not support this type of network band is very high. Behold Etisalat 4G LTE Network Now Made Available In Nigeria. 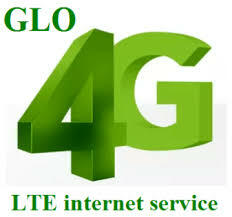 Note: From the frequency band above for Glo network, if you are a Glo user and you are about getting a new smart phone for your self, then you should consider searching the one that is compatible with the above stated frequency band, to avoid depriving your self the fast connection of 4G LTE. So because we don't want you to be deprived of the fastness in connection, we decided to come up with devices that 4G LTE of Glo band 28(700) is enabled on. Below are the list of devices that supports Glo chosen Network Band, check whether yours is among and share with us. ✔ Samsung Galaxy Note 7 (Although Samsung has discontinued this device). Is there anyone you think we missed from listing, kindly tell us by using the comment box, so that we can update it at once. Thank you.